Coral face peeling top view. 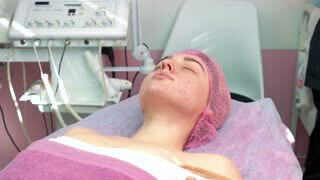 Caucasian girl in beauty clinic. Coral face peeling. 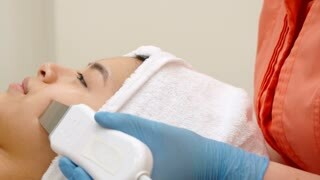 Cosmetician is applying facial mask. Organic cosmetics for delicate skin. 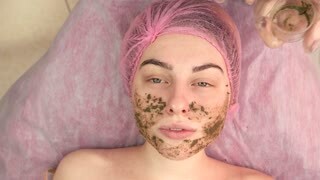 Face peeling in beauty clinic. Hands of cosmetician in gloves. Care routines for problematic skin. Skin after coral face peeling. Hands of cosmetician. Skin after coral peeling. Hand of cosmetician wiping face. Young woman, coral face peeling. Hand is applying facial mask.